When his son Josh (Miles Heizer) dies, Sam (Billy Crudup) stumbles across a box of his demo tapes and lyrics and starts to perform them. Soon he finds himself in a band, trying to use his son’s music to find some piece. Rudderless is directed and co-written by William H. Macy (who also stars in the film as the owner of the bar Sam performs at) and for his directorial debut he puts together a great film. It’s filled with soft lighting, brilliant performances, wit and emotion. 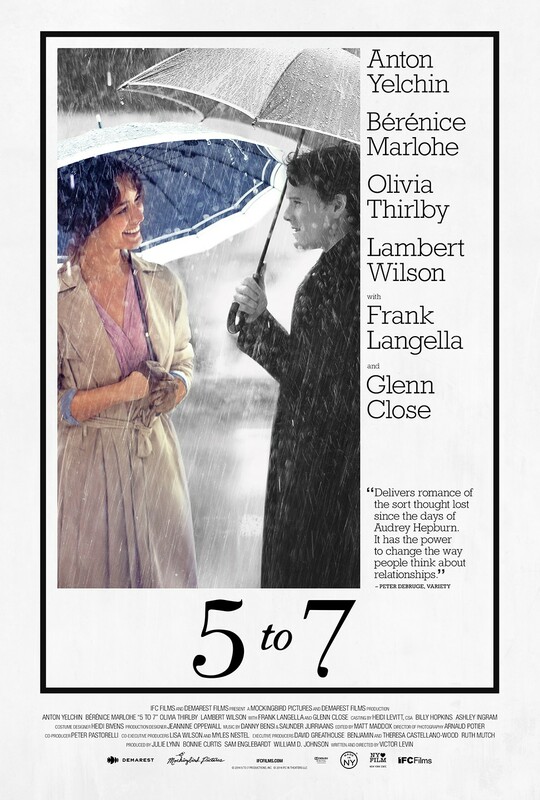 The script has its twists and it deals with a heavy subject matter but all the cast handles it brilliantly. While it is sometimes a film that tugs on your emotions, it also has humour and vibrant characters that all feel like real people with their own problems. So much of the emotion in the film comes from the music. 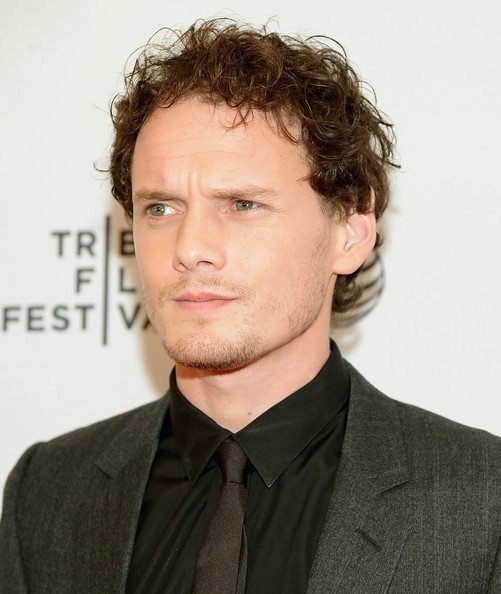 It’s where Sam finds a connection with his son and where he finds a lovely yet unexpected friendship with fellow musician Quentin (Anton Yelchin). The songs are all fantastic and it’s the first time I’ve bought a films soundtrack in ages. 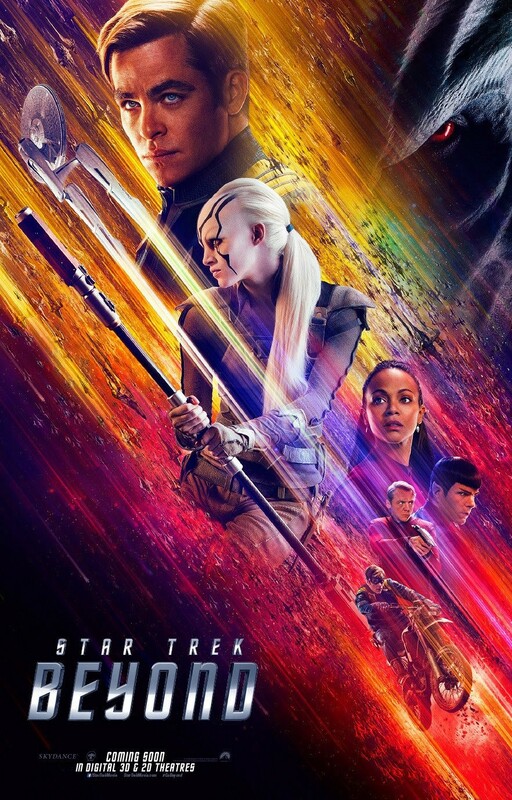 Each song is touching and they are all well performed, Crudup and Yelchin both have great voices and chemistry both hen performing a song together and in just about every scene they share. 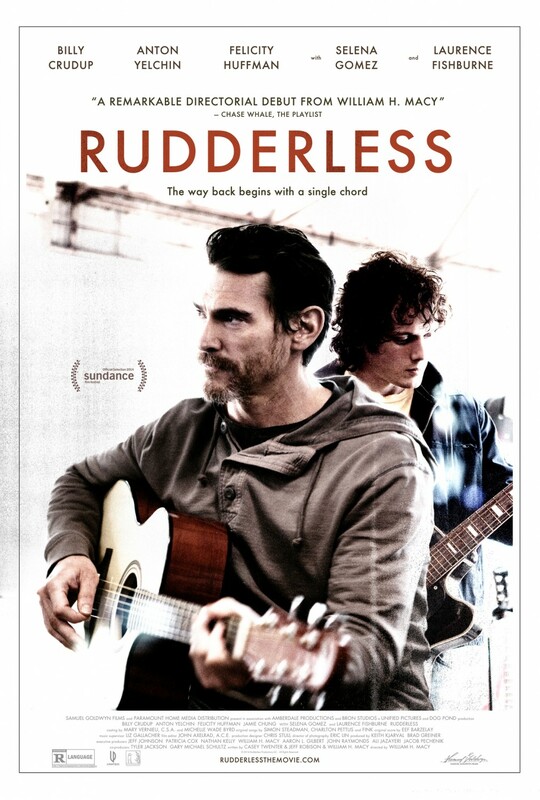 Rudderless is one of those films where I don’t really know how to describe it – it’s full of wonderful characters, a touching story and it is something special. 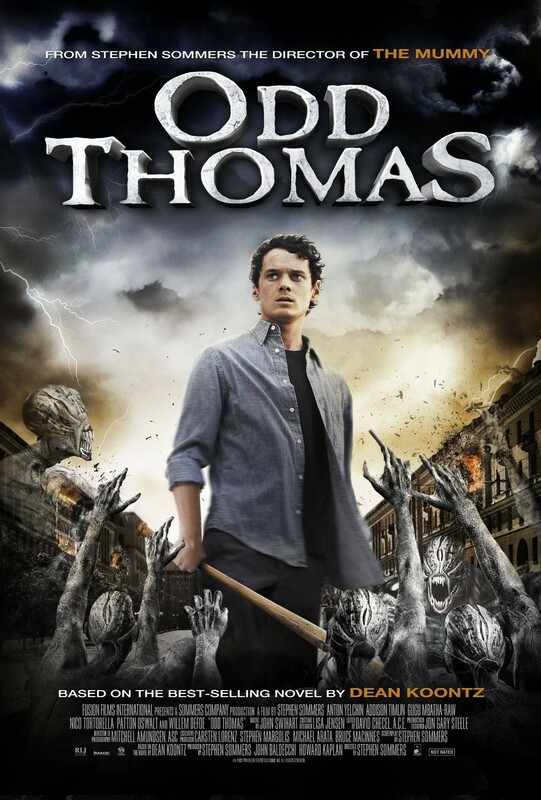 It’s a hidden gem and I feel it’s a film that’s best to go in knowing as little as possible. Rudderless really is a delightful film. 4/5. When Grace (Eva Amurri Martino) realises her irresponsible mother (Susan Sarandon) hasn’t paid of the credit cards that she took out in her name, thus running her chances of getting funding for college, she teams up with her summer job co-worker Dorian (Anton Yelchin) in his scheme to make money from selling marijuana. Middle of Nowhere has some great performances and some believable and relatable teenage characters. While Dorian and Grace are good friends it doesn’t mean they don’t fight and fall-out with each other, but again, just because they fight doesn’t mean they won’t still look out for and still care about each other. Middle of Nowhere doesn’t go in with all the usual clichés for coming-of-age films and it is very true to life because when you find out that someone has hurt you it doesn’t always turn into a huge shouting match. Sometimes, you have to hide the fact you’re hurt and then just get over it. Also sometimes you might kiss someone and then you go back to being exactly as you were, you neither never talk to them again nor suddenly realise they are the love of your life. Grace’s younger sister Taylor (Willa Holland) is also a great character and manages to be her own person and avoids being the “annoying younger sister”. Grace cares about her, and so does Dorian. There’s a scene where Taylor ends up at a party with Dorian because he has drugs to sell and when she gets into trouble he reacts and helps her even though it could potentially put himself at risk. Yelchin, Holland and Martino all have amazing chemistry which is important because the film pretty much rests on their performances and relationships. Middle of Nowhere is a hidden gem; it’s teenage characters are relatable as they struggle with parents’ expectations and figuring out what they want to do with their lives. With great performances and a lovely soundtrack, Middle of Nowhere is worth checking out. 4/5.